One of my pet peeves has been the UN's appointment of Richard Falk in a Human Rights position who did nothing but bombast Israel at every chance he could. The reason he is used as ammunition against Israel is that he is a self-hating Jew (in denial) who is dead set to destroy Israel. . The man is deviant and he has a wife just like him except she's not Jewish; she's Turkish, born in a Muslim household in Turkey and raised and educated there, though now she doesn't practice her religion, she says. That one fact in itself may be coloring her attitude towards Israel. As he is finally leaving this last 6 year post spewing falsehoods against Israel, his wife, Hilal Elver, anxious to fill his seat of power, is being groomed for the same position. Falk is a person who promoted 9/11 conspiracies of David Ray Griffen who thanked him in his book, "The New Pearl Harbor." "Griffin has published a number of books on the subject of the September 11 attacks, suggesting that there was a conspiracy involving some elements of the United States government." Falk accused Israel of genocide. He also accused Israel of apartheid in his latest and final UN report. He said that criticism of Turkey's President Erdogen was exaggerated. Most likely that's because he is married to a Turkish lady who was successful in their government, Hilal Elver. Falk has targeted America and the West in articles, books and lectures every chance he gets. His better half, Hilal, is also his shadow and is in agreement with all the above points of her husband. Hilal Elver, PhD, works at the U of C in Santa Barbara as a research professor. She has a law degree from Ankara, Turkey. Unfortunately, Turkey has become more religious with Erdogen lately who is more into Sharia law and more against Israel. She lectured in Qatar and threw in another attack against Israel that her husband missed and accused Israel of water apartheid. I take it that meant she is saying that Israel is not allowing her neighbors to have any water which according to my reports is absolutely false. As a researcher, she must be hiding files that show how much good Israel has done for her neighbors. Israel is drinking sea water by creating desalination plants. She is helping her neighbors in any water crisis. Without Israel her neighbors would soon be drinking sand. Who else has been highly innovative in creating ways to improve life? Israel already signed a peace treaty about water with Jordan in 1994 and one with the PA in 1995. The duo do have a great technique. They pronounce a sentence against Israel so authoritatively that gullible and like-minded people just gobble it up without doing any checking. It was Hitler's method. Hilal Elver Falk is a co-author and Richard's collaborator. With her PhD she might even be his instigator. It's hard to tell who the leader is of this twosome. She is supposed to be an expert on the right to food. The position that Richard has held was created by the Cubans and for years was held by Jean Ziegler who was the founder and recipient of the "Moammar Qaddafi Human Rights Prize." Remember Qaddafi? "He was internationally condemned as a dictator and autocrat whose authoritarian administration violated the human rights of Libyan citizens and supported international terrorism." This dictator of Libya started his power in 1969 so had been their ruler for 42 years. What kind of man can back such a person? He's what I would pronounce as having a mental condition of meshugana, which is pretty bad. A Human Right's Prize? He used that prize to attack America, Israel and the West. Ziegler " condemned the Jewish state so often that journalists began to describe him, mistakenly, as the council’s investigator on Palestine." They do manage to select people wholly against Israel, don't they? Ziegler, a Swiss socialist, was a spokesman for Cuba. The problem always has been that such positions have been rigged to be people who will speak out against Israel. Now, Israel had a lot of socialism going on too, especially starting kibbutzim, but they were highly successful at it. Cuba? Well...not as much. Here, Zeigler's anti-Semitic stand got in the say of his politics, perhaps. Richard Falk has been bearing false witness against Israel for his reign of the past 6 years. "You shall not bear false witness against your neighbor" is one of the 10 Commandments found in Exodus and is the 9th commandment. This also prohibits gossip and slander. This was to keep such things as a Richard Falk using slander and lies against the accused from never happening but to use 3 witnesses who are objective. Using one person who is not is prohibited in our 3,324 years old law. It's interesting in that Islam accepts Moses as a Prophet. 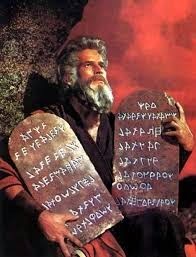 What do they think of the 10 commandments? They say they support those as well. However, the UN, who has been favoring such Muslim countries very much in attacks against Israel, is ignoring this commandment. If Judaism, Christianity and Islam respect the 10 Commandments, shouldn't the UN start to consider them in their organization? The UN has become a bastion of lies more than a place of helping countries to solve their problems. In taking this stand, the UN is harming Israel just as sure as the rockets, missiles and mortars that have been raining down on Israel from Gaza. They are guilty of aiding and abetting Israel's neighbors who are trying to drive her into the sea. Richard Falk is known for his extremist politics and Hilal will probably do him one better. In this way, Richard Falk would maintain his influence. It's now up to the United States and Samantha Power, the US Ambassador, to oppose her appointment on Thursday, May 8th. This was to have taken place in March but was postponed. Hilal's latest endeavor has been "on a book project dealing with secularism and human rights in the Islamic world." Tanakh, The Stone Edition, Exodus, verse 20: 13.